It can be hard living for the dogs of Shanghai. To make it easier we made a list of bars and restaurants that go out of their way to make our canine counterparts feel especially welcome. The original list included trailblazers like Sumerian, Daliah, Tres Perros, and Abbey Road. For this updated list, we employed Luna, a mild-mannered mutt, to eat the treats and scratch the ground. Here, then, eight places with exceptional dog policies. Small but well formed, with dogs allowed to wander in and out. Bar owner Greg Jurksztowicz is actually quite enthusiastic about dogs, and the staff has treats on-hand and bowls for water. The high tables made it easy for Luna to play without disturbing anyone, and the humans had more than 25 types of grilled cheese treats of their own to choose from. Everyone wins. When to go: “Melt Monday”: two large cheese melts, four drinks (Asahi, mixed drinks, wine), and two pickleback shots for 200rmb. This café opened up three years ago and might be the most dog friendly venue on this list. They’ve got a communal water bowl, treats, and wrapped sausages, and they’ll give you a handful. So many that I think this was Luna’s favorite place. She was bribed. 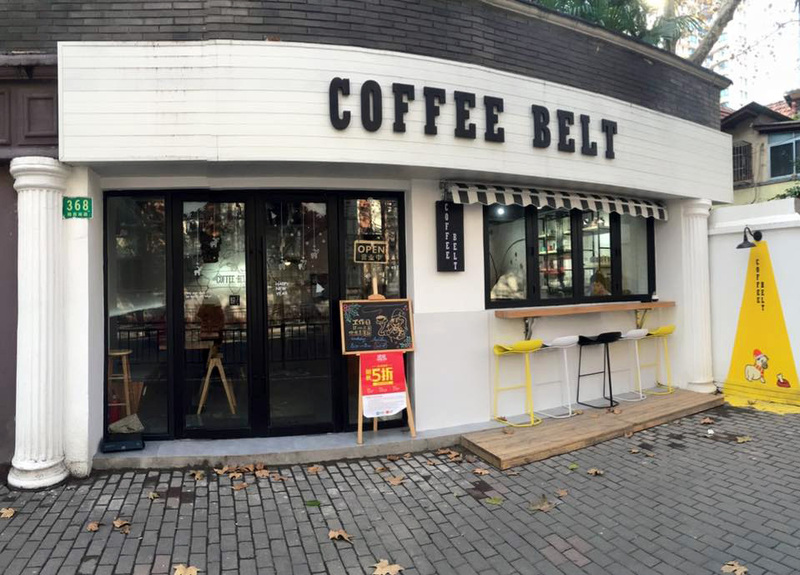 Coffee Belt also promotes a pet-focused charity called Shanghai Adoption Day. For humans, they have really solid cheesecake and the coffee gets a thumbs up. Oh, and they have Oatly oat milk! 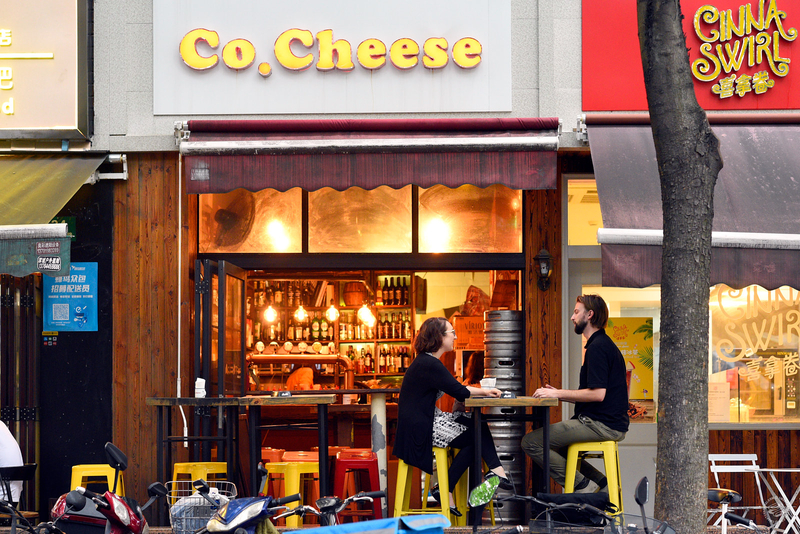 When to go: Lunch: a panini, salad and coffee for 62rmb. Quite slow on weekdays, so getting a table is easy. Some might have a problem with EDM at lunchtime or the lettuce-free salads, but your dog won’t notice. Moka Bros allow dogs on that platform with bean bag chairs and they give out water -- now in plastic since their bowls were stolen. The whole place, even other customers, seems very dog positive. Luna had an encounter with an irate poodle (who really just wanted to be friends) and other people smiled through the ensuing barking. When to go: Not from 1-2.30pm on a weekday, unless your goal is to see and be seen. But it’s a nice spot for an early or late lunch. There’s also a daily happy hour from 4-8pm with drinks starting at 30rmb. 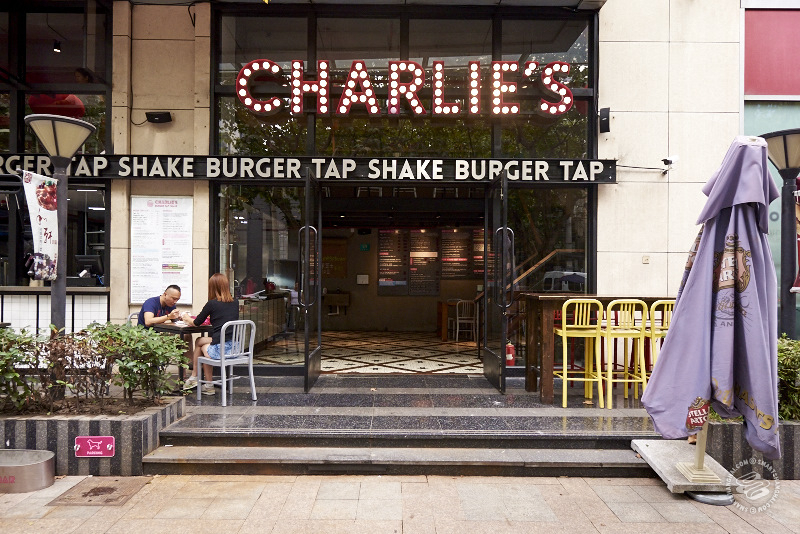 Charlie’s is known for their reasonably priced burgers and is widely perceived as super dog friendly. But dogs are only allowed outside and on the first floor where you have to request for a table to be set up. There is a communal water bowl and they sell three kinds of homemade dog treats: Homemade Doggy Biscuits (made with roasted pumpkin), Woof Patty (beef), and Puppy ice cream cup (with two dog biscuits and human ice cream) — not necessarily endorsing these. Luna loved the homemade biscuits but threw up a bit the next morning. I’ve known some dogs that have enjoyed them and were fine. You decide. Like Coffee Belt, they promote an animal shelter: Pujiang Wang Ayi Love Adoption Base. When to go: Cheeseburger, fries, and a drink for 55rmb from 11am-3pm. If you’re okay sitting outside, go whenever—if you want to sit on the first floor aim for odd hours (3-5pm). 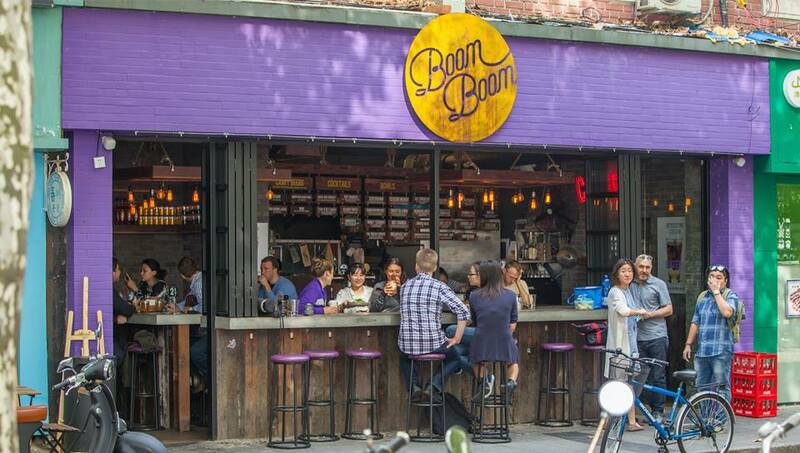 Boom Boom Bagels is Sumerian's broodier cousin, with the perk of a wide bagel-sandwich selection. It’s kind of small and can get pretty quiet during the day, which is a nice environment to get a Sumerian coffee and spend an hour or two with pooch. And like Co. Cheese they’ve got a wide variety of excellent sandwiches. Water is provided for dogs. When to go: If you’ve got a dog, the best times to hang out are early in the day during the week, to snag the prime perches. 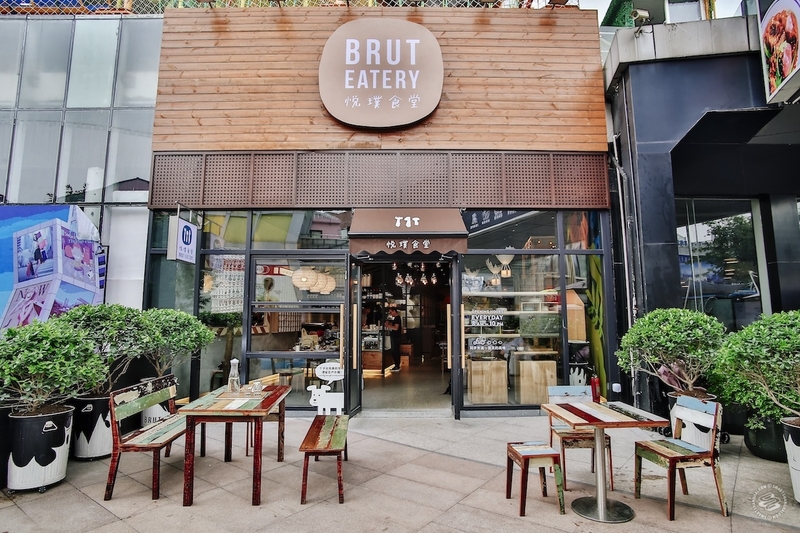 Known in some circles as “Brut Cake Café”, this café from husband-wife duo Jun Wu and Priscilla Young has been a longtime favorite. 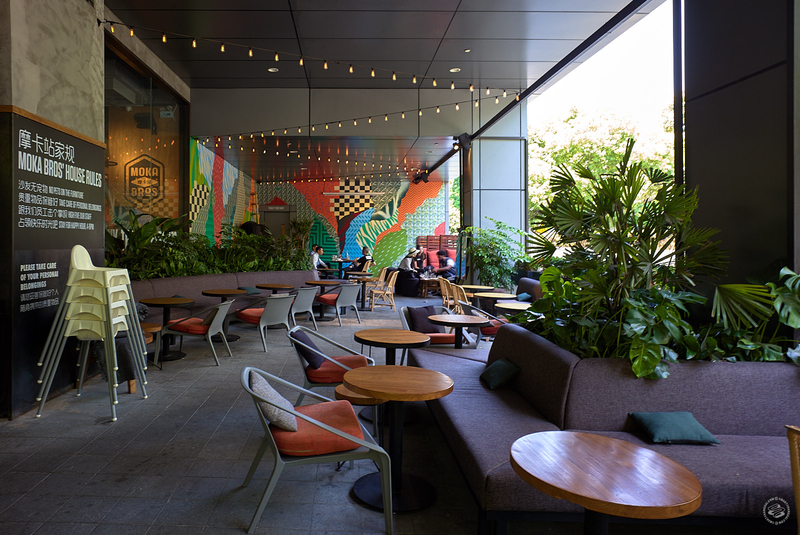 After the popularity of their Jing’an restaurant, they decided to expand and are now offering their American comfort food with an “Asian twist” in a more spacious location on Zhaojiabang Lu. Their brunch is reasonably priced, comparatively healthy, and super tasty. Luna enjoyed a leash-less high tea on a Tuesday afternoon, when the place was empty. They’ve got dog bowls and the staff was dog-enthusiastic though there’s a sign that asks bigger dogs (taller than 35cm) to stay outside when it's crowded. When to go: Brunch! They also offer “high tea” every day from 2-6pm. Dogs are permitted anytime, but on the weekend when it gets busy it's a bit more difficult especially in the Jing’an location. 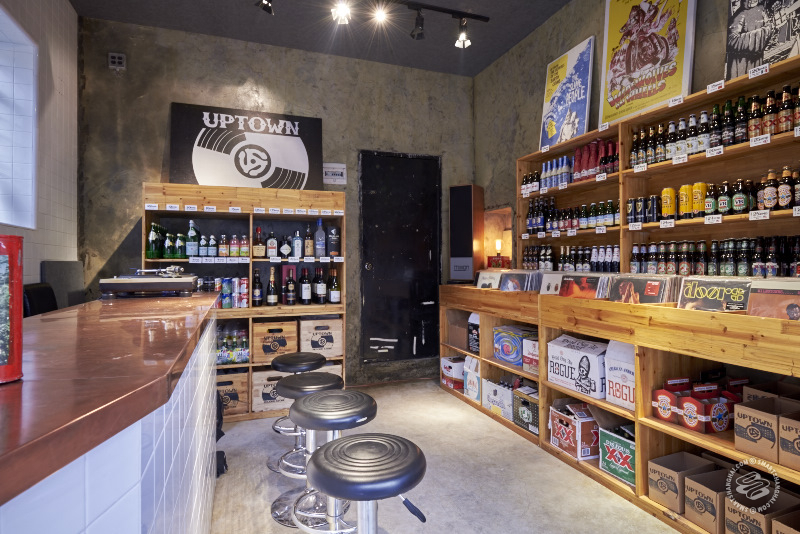 Uptown Records n’ Beer is a bodega-like offshoot of the original Uptown Records. It’s a small space with room for about ten people that peddles cheap beer from 15rmb. Sophia Wang, who started Uptown Records (along with her husband), is pretty big on dogs. She offers water and treats to any who come through. And if you get there when it’s not too crowded there’s a nice homey vibe to the place. When to go: Anytime but Monday, always after 3pm. If it’s too crowded, Jarajam is right down the street, and it’s also dog-friendly. This one is a bit obvious. They’ve even got their own bulldog, “Cannery Pete”, but The Cannery does dog events right. They have a big green yard out front for dog picnics and Thursday night “drive-in” movie nights. 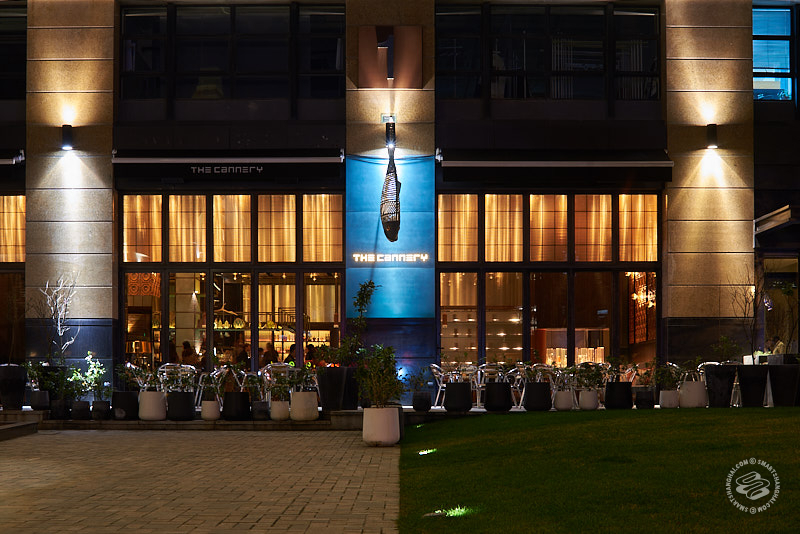 It’s one of the nicer restaurants on the list, good for cocktails and dinner. The patio is always dog-friendly, but they ask if you are bringing a dog inside that you mention it when you make your reservation and they’ll try to seat you by the windows. When to go: Whiskey Wednesday and Taco Tuesday for human deals. 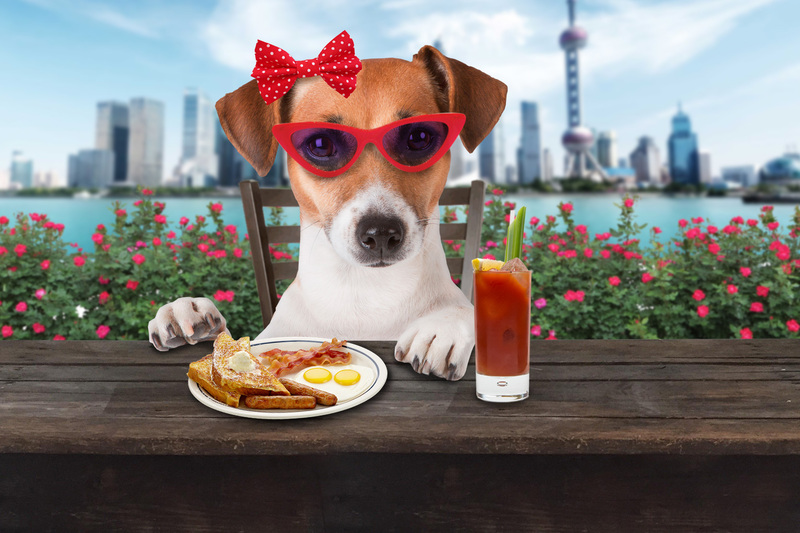 For a full listing of other dog friendly venues in Shanghai, click here. This was a fun read. I had no idea that Cannery was dog friendly. I've had a few dates there that could have totally been elevated by my moochee (short for moochee poochie, which means cutest, sweetest, most wonderful dog on the face of the planet). Those dog picnics sound amazing too. This is a useful article, cheers. Rooster is also dog friendly, as is the hop project. Power to the pups!